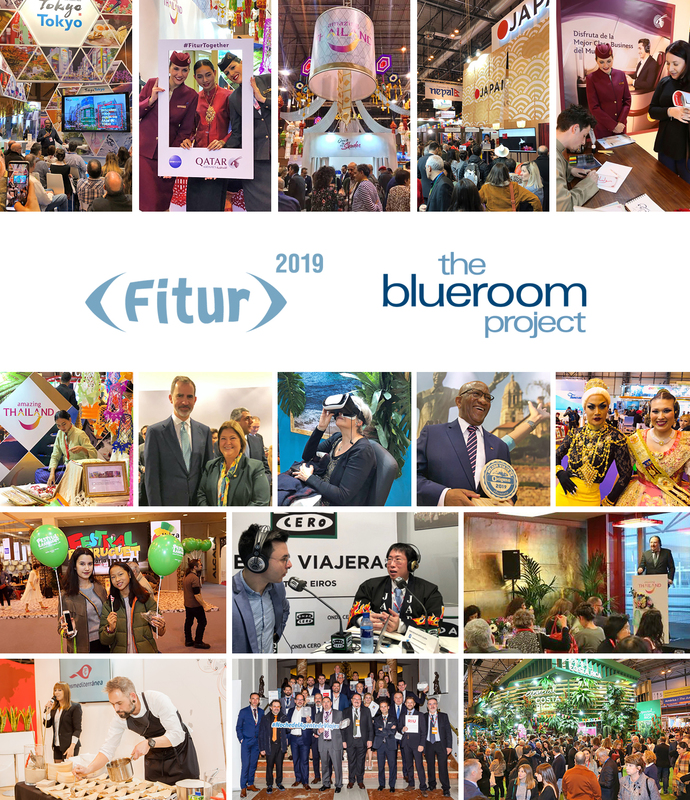 The latest edition of FITUR has brought a great success to the diverse portfolio of Premium clients and key brands of tourism, luxury and lifestyle where The Blueroom Project manages their communication and marketing. Firstly, two destinations were awarded in the fair. South African Tourism received the Award to the Best Adventure Trip 2019 in the international category of the Oxygen magazine, and the Japan National Tourism Office won the Best Stand Award in FITUR 2019 in the category of international destination. Furthermore, Costa Rica was present as the main sponsor of the Night of the Travel Agent organized by Hosteltur gathering the night before the Fair next to 400 guests of the tourism trade. During the professional days, the destination held a presentation with the assistance of more than 30 journalists, as well as an intense agenda of meetings with more than 20 tour operators, agencies and airlines. Also during those 3 days, The Blueroom Project managed different events involving prominent representatives of the tourism sector and the mainstream media, such as the traditional Thailand Authority of Tourism networking lunch or the presentation of Thailand as a Gay-friendly destination in the framework of FITUR Gay, an after-work to introduce the new products in 2019 of Santa Eulàlia des Riu, diverse presentations by the Armas Trasmediterránea Group, as well as presentations from the Japan National Tourism Office and Tokyo. The Blueroom Project also was in charge of the professional agenda of destinations, such as Tourism of Costa Rica, Tourism of Dubai, Thailand Authority of Tourism, Santa Eulàlia des Riu and South African Tourism. In total, more than 150 meetings with professionals and interviews with media for our clients were managed, including an agenda, throughout the professional days of the fair. Throughout the weekend, The Blueroom Project was in charge of the visitors’ activities at the Qatar Airways booth, with Arabic calligraphy and henna painting, virtual reality glasses in Costa Rica, Northern crafts at the stand of Thailand, as well as Santa Eulàlia des Riu, including balloons for the little ones as a family tourism promotion.